Never allow passengers sit on top of the folded down seatback while the vehicle is moving.This is not a proper seating position and no seat belts are available for use. 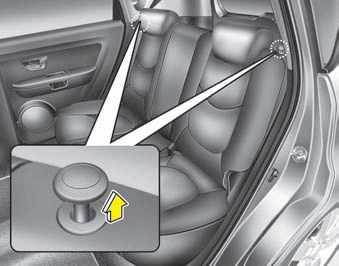 This could result in serious injury or death in case of an accident or sudden stop. 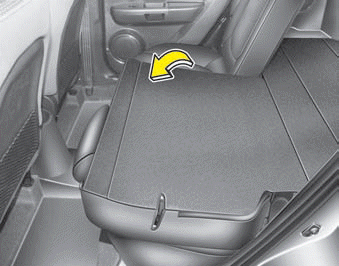 When returning the rear seatback from a folded to an upright position, hold the seatback and return it slowly. 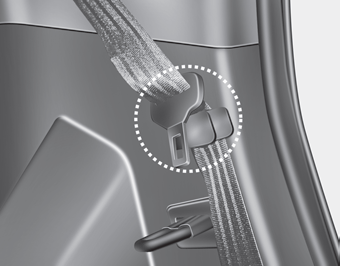 Ensure that the seatback is completely locked into its upright position by pushing on the top of the seatback. 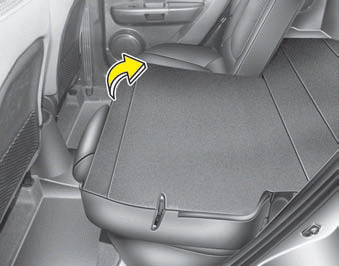 In an accident or sudden stop, the unlocked seatback could allow cargo to move forward with great force and enter the passenger compartment. Do not place heavy objects in the rear seats, since they cannot be properly secured and may hit vehicle occupants in a frontal collision.